How is your perception of ​​a city influenced by the internet, for example before going on a trip to a city? Pick a city and simulate the situation on the basis of the example city: what images do you encounter on websites for air or rail transport, for example? What information do you otherwise obtain when planning a trip? Reflect on the process which meets, expands and changes your expectations. Click through the webpage. 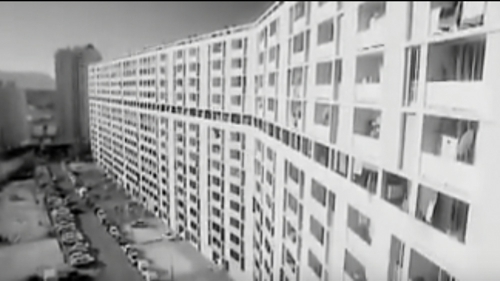 To what extent does “metcouncilonhousing.org” produce urbanity in the sense of the concept of social space? 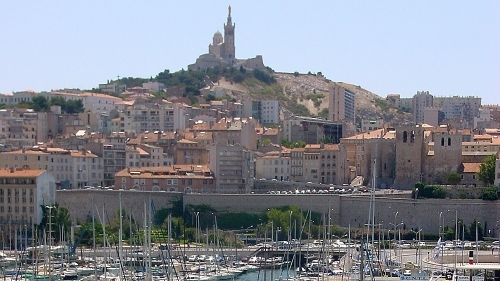 How has the internet changed rap music in Marseilles? 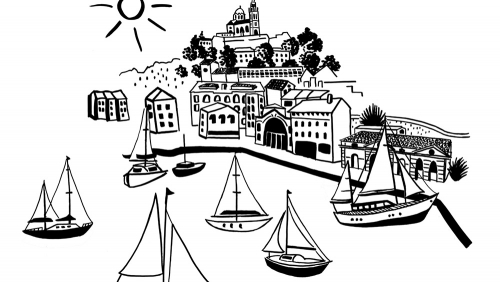 And how has the internet changed how we perceive cities? 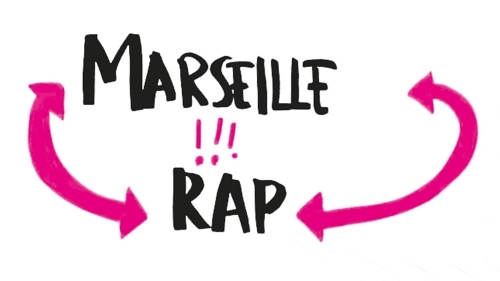 An excerpt from a conversation with Daniel Tödt about the imaginary of urbanism and his research on rap music in Marseille. 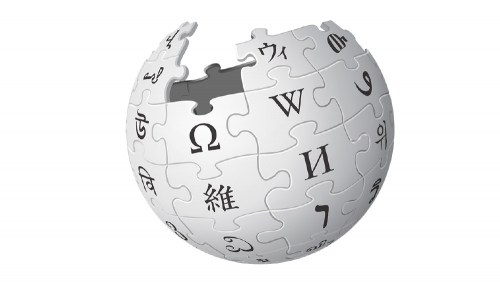 Why did you choose the assemblage approach for your research? In conversation with Laura Kemmer about assemblage and her research on the Bonde tram in Rio de Janeiro. What characterises imaginary of urbanity? A collection of representations of urbanity – expanded by the website’s users. Click through the page. How does Facebook® produce urbanity in the sense of the concept of social space? An attempt to visually summarise some aspects of the concept of urbanism as a social space. This graphic recording was created after discussions with Yuca Meubrink about her research on housing programs in New York City and London. Click through the webpage. To what extent does “Getty Images” produce urbanity in the sense of the imaginary? 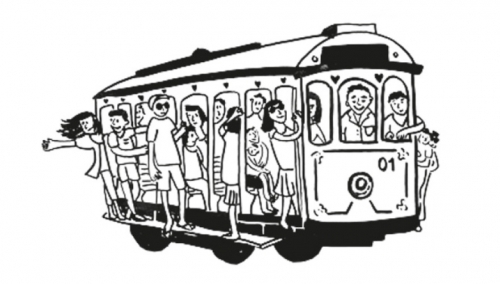 How research on a tram in Rio de Janeiro contributes to the understanding of urbanity. Why does the assemblage concept perspective especially suit urban research? In conversation with Laura Kemmer about assemblage and her research on the Bonde tram in Rio de Janeiro. 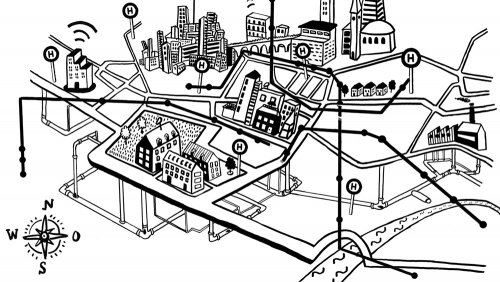 How does critical urban research investigate urbanism? In conversation with Yuca Meubrink about her research on housing programs in New York City and London. What potential does the assemblage perspective hold for thinking about urban conflicts? In conversation with Laura Kemmer about assemblage and her research on the Bonde tram in Rio de Janeiro. Click through the webpage. To what extent does the “City Data Forum” produce urbanity in the sense of the concept of social space? Click through the webpage. 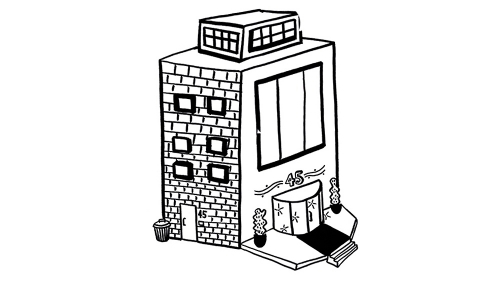 To what extent does Craigslist® produce urbanity in the sense of the concept of social space?  How did the hip-hop group IAM shape imaginary Marseilles? An excerpt from a conversation with Daniel Tödt about the imaginary of the city and his research on rap music in Marseille. Can digital practices be analysed using the assemblage approach? In conversation with Laura Kemmer about assemblage and her research on the Bonde tram in Rio de Janeiro. To what extent can the internet or individual digital services be of help to you when researching the imaginaries of a city? Consider the impact Twitter or the hashtag (#) has on the localisation of urban affairs. Is there a topic or debate to which you yourself have contributed? To what extent were you involved, what connection did you have to the event? How can you work with cultural studies concepts? Which aspects are emphasised by the concept of urbanity as assemblage? Click through the webpage. To what extent does “Twitter” produce urbanity in the sense of urban assemblage? Click your way through the webpages. To what extent does efoto® produce urbanism in the sense of the imaginary? 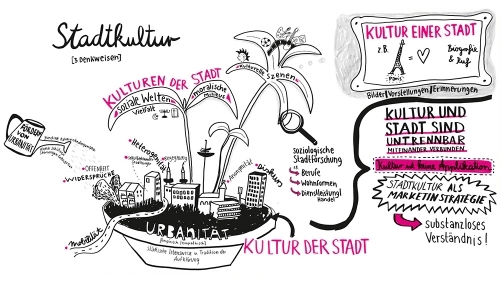 An attempt to visually bring together three different ways of thinking about urban culture – based on the essay “Stadtkultur” (“Urban Culture”) by Rolf Lindner. Make a record of an uninterrupted 3-hour period in your daily routine and highlight all the digital practices involved. Answer the following questions: To what extent do these practices produce urbanity as a social space? Which digital practices did you use to participate in group processes? What classifications and distinctions did you make digitally and to what extent do they relate to urbanity as a social space? What characterises imaginary urbanity? A collection of representations of urbanity – expanded by the website’s users. Click through the page. How does Yelp® produce urbanity in the sense of the concept of social space? Link a platform or website that you use to discuss or participate in issues that are urban-related and give your opinion. 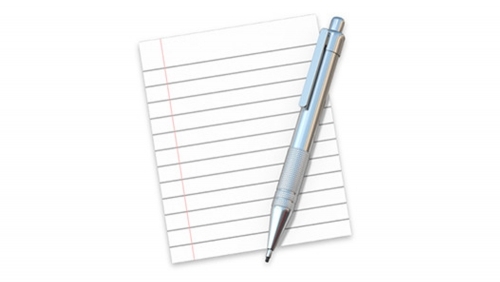 Describe when and how you use it. Click through the webpage. To what extent does Instagram® produce urbanity in the sense of assemblage? 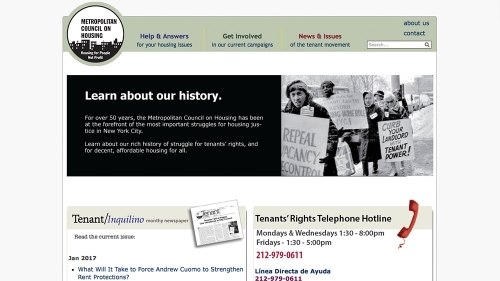 Have digitisation and the internet changed struggles for housing in New York and London? An excerpt from a conversation with Yuca Meubrink about her research on housing programs in New York City and London. To what extent does the concept of the imaginary help us understand urbanity? An excerpt from a conversation with Daniel Tödt about the imaginary of the city and his research on rap music in Marseille. Exploring urban imaginary – how can this be achieved? An excerpt from a conversation with Daniel Tödt about the imaginary of the city and his research on rap music in Marseille. What characterises the imaginary of urbanity? 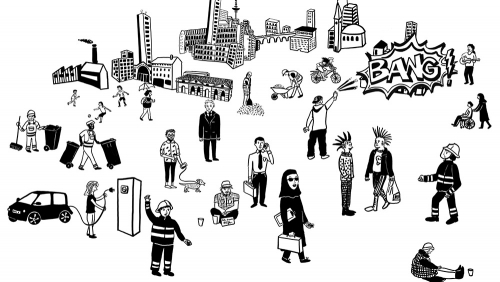 A collection of representations of urbanity – expanded by the website’s users. What is social space and how can you research this concept? An excerpt from a conversation with Yuca Meubrink about her research on housing programs in New York City and London. Click through the webpage. 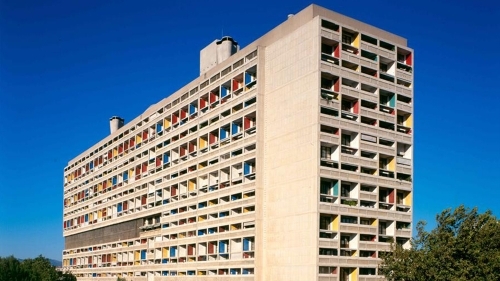 To what extent does Pinterest® produce urbanity in the sense of the imaginary? 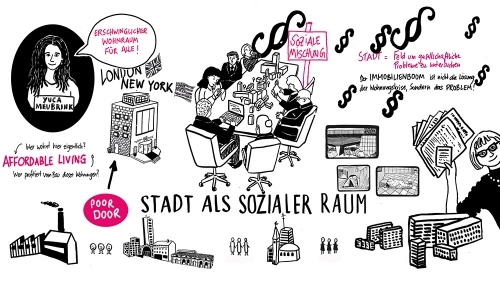 Which aspects are emphasised by the concept of urbanity as social space? Laura Kammer holds a degree in Political Science from the University of Hamburg and completed her Master’s degree in International Relations in Berlin in 2013. 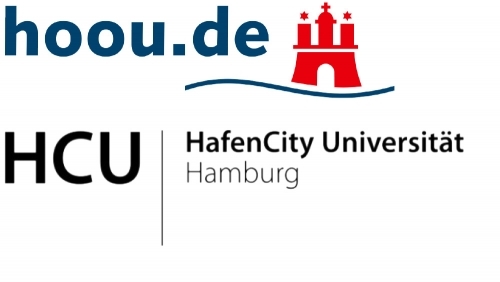 She is currently working on her doctoral thesis (PhD) in the field of urban studies at the TU Berlin on “Bonding: The emergence of new collectives around an absent tram in Rio de Janeiro”. An attempt to visually summarise some aspects of urban assemblage research. 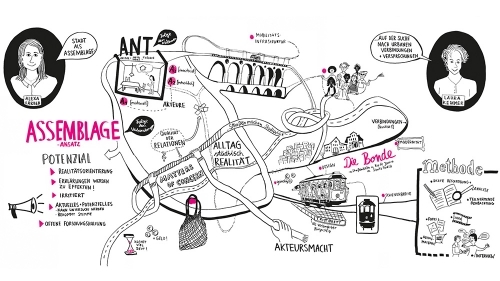 This graphic recording was created during a lecture by Laura Kemmer and Alexa Färber on research with the assemblage approach in the summer of 2016. 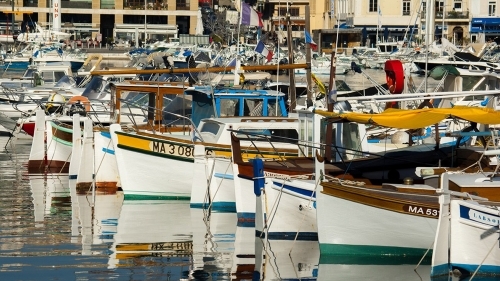 How a hip-hop group influences thinking about Marseilles. From the phenomenon of “poor doors” to research on planning practices. An excerpt from a conversation with Yuca Meubrink about her research on housing programs in New York City and London. 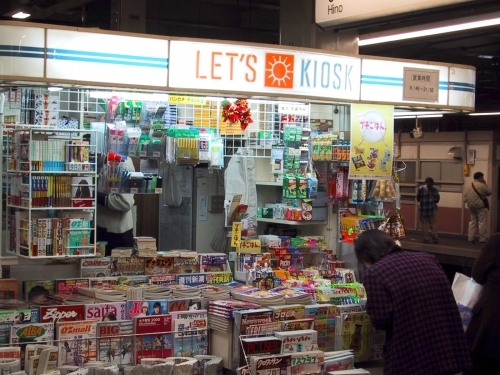 How the poor doors phenomenon stimulates research on today’s planning practices.